(Updated: 4/8/19) - For the latest and most accurate tap list please see our Facebook or Twitter pages! Wabash is derived from the Miama Native American word Waapaahsiiki which means it shines white or water over white stones. A fitting name for our lightest offering. However don't underestimate this beer as it is well balanced from start to finish and a great introduction to the world of craft beer! Our oldest recipes with roots in our very first home brew over a decade ago. Time has helped "age" this recipe utilizing 7 grains to make a beer balanced with good malt and hop character. The 503 you ask? The length in miles the Wabash river runs from its headwaters near Fort Recovery to its outflow in the Ohio River. Few things are more synonymous with Wabash than the Cannonball. So famous that the name request for this beer came all the way from England. Slightly on the hoppy side for a Pale this beer is smooth and refreshing with a nice grapefruit note in the finish. WARNING: THIS DOES NOT CONTAIN BACON!!! Our 6th commercial beer and one we are VERY proud of. Good body, lots of flavor, wonderful aroma and just a great beer. Don't leave the brewery without trying this one, even if you don't like darker beers. Named after Baconface, the beloved dog of a good friend of the brewery. This is a SMASH (Single Malt and Single Hop) beer that has been infused with Cherries to create a refreshingly crisp and slight pink beer. Simple grain and low hop allow you to enjoy the tartness from the cherries down to the last drop. "Mugga" u ask? What my youngest son called his grandmother who also happened to be one of our top tier Kick-starter supporters. This is a traditional Oktoberfest beer with a slight twist. We use a Lager yeast at ale temperatures to create a steam beer (California Common). You get the best of both worlds! Balanced hops are offset with malty and caramel tones from the German grains that are used in this recipe. It doesn't need to be fall to enjoy this beer. Expect this to be a regular at Wabash Brewing. Being a former rocket scientist required us to reach deep down into our Mad Science roots and create a bold IPA. 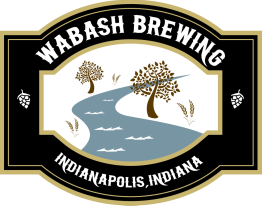 However, we always strive for balance at Wabash Brewing and used some unique brewing methods to create "rounded" bitterness in this beer. What's missing is the harshness high IBU beers can possess. What's not is phenomenal hop presence from start to finish. ENJOY! The Unlauterable is a distant cousin of Headwaters Hefeweizen, but uses a number of grains that can make mashing and sparging a pain, hence the name. It is VERY EASY to drink though. Bull Island Black IPA is a nice mixture of hops and malts, and a fantastic entry into a rapidly growing beer style (American Black Ales, Black India Pale Ale, or Cascadian Dark Ales). Bull Island is the location of the infamous Erie Canal Soda Pop Festival. 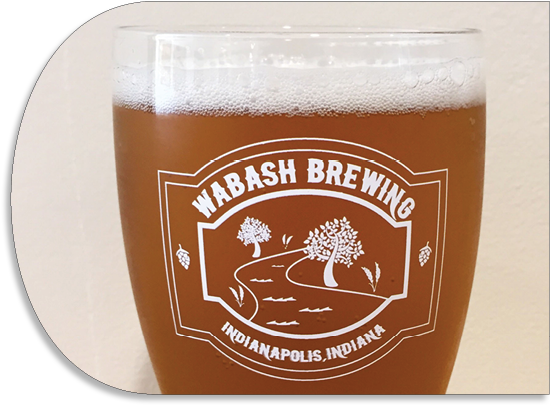 Grab a glass and let us tell you the story about a unique chapter in the history of the Wabash River. This is a German style Hefeweizen that uses decoction mashing to create a beer true to its roots. This is a lighter cousin to The Unlauterable and shares a similar yeast strain that gives nice spicy clove and banana notes. A hit during our opening weekend, this beer brings us fond memories of January 2nd every time we have a pint!